While most of my family’s fresh garden produce is acquired from our CSA farmer, community markets, and our backyard, there is a wonderful display of super yummy edibles I also start to harvest this time of year. Foraging’s a great way to gather free food and medicinal herbs, which in turn can prove to lower the cost of groceries — without having to sacrifice on organics, nutrition, or sustainability. The past couple of weekends we have ventured out into the great outdoors to two small towns near our home. 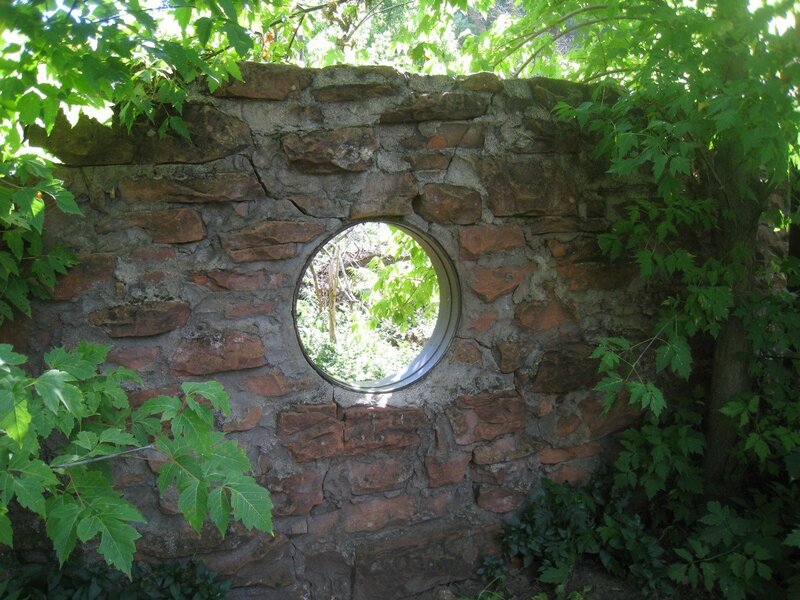 My sole mission was to explore old homestead sites. These areas are treasures just waiting to be rediscovered. Not only do they abound with natural beauty, but we found them to be full of rogue medicinal herbs, fruit trees, grapes, nuts, wild asparagus, soap berries, and blackberries — all planted originally by the pioneers that settled the area and they are very willing to once again provide sustenance. Learn your plants. Prior to harvesting, it’s vital that you learn the difference between healthy and harmful plants and herbs. Location, location, location. You never want to eat things that are harvested along roadsides, waste lands, near polluted streams, or close to conventional farmlands. This is another reason why I love foraging on old homesteads — they are usually far off the beaten path. Know when to go. A general knowledge of when seasonal foods are ready to harvest is good to have. But if you’re new to the whole thing…go outdoors often. Start to observe and journal your findings. Soon you’ll learn what, when, and where to gather. Take only enough. Glean only what you know your family will use and leave those plants that are endangered. Get permission. We have only ever foraged on public lands. So if you are looking elsewhere…be sure you have permission before you harvest from someone’s personal property. Begin now — and through the start of fall — looking for old homesteads, abandoned home sites, and safe urban areas in which to harvest. By harvesting the wild produce in our local areas, we will surely add variety to our diets while freeing up money in our budgets. 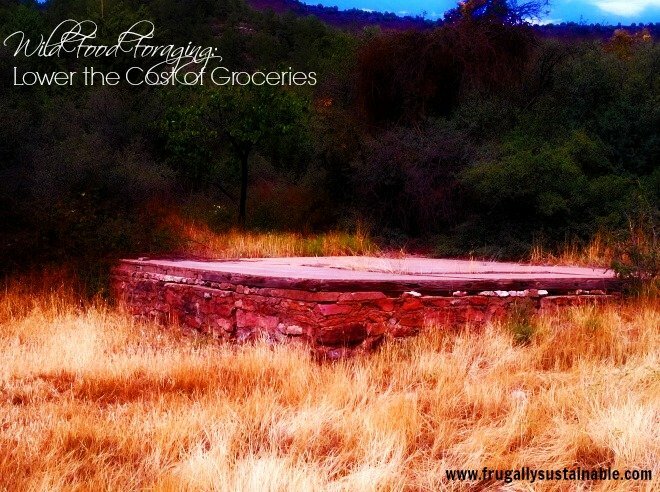 Foraging for food in the wild is all about enjoying the food that grows freely around you! Know of any old homesteads in your area? Have you ever thought about foraging to lower your grocery bill? I own one of those seemingly abandoned old homesteads and I love to forage there. However, when I arrive and I find someone else has harvested my goodies without permission I get upset. Someone owns that property! The things that grow on old homesteads are not there for the public to just take! Please, make it a point to find out who owns the land and get permission before you forage on someone’s private property or stick to foraging on public lands. Great point! Thank you for commenting on that! We forage for Asparagus in the ditches here. There are wild “fox grapes” everywhere for those with the patience to make something out of them. The neighbor gave me permission to pick wild raspberries in his ditch to supplement our still growing raspberry patch. 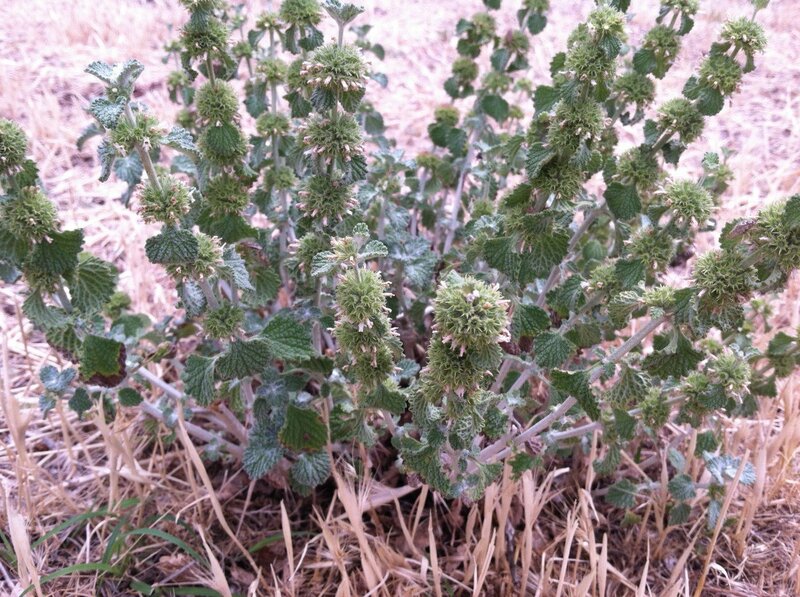 Theres a HUGE thicket of gooseberries in our pasture if I can jsut figure out how to keep the moth larvae out of them. 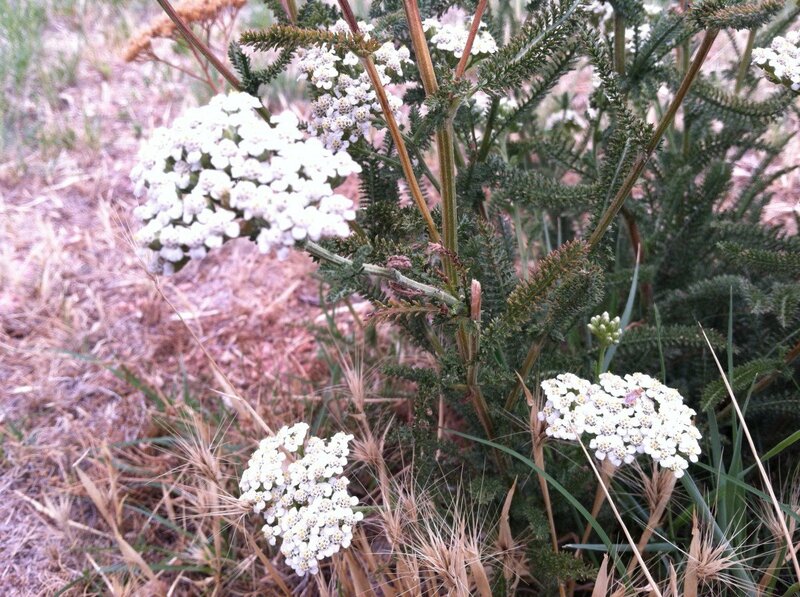 Yarrow grows in my yard in a few places. Occasionally we get morel mushrooms in our front yard. I’m learning about mushrooming so we can go into the woods nearby and forage. MN winters kill so many plants we don’t have mint ar anything like that. And te only wild apples are crabapples of the ornamental variety. Rachel, you may be able to put netting or cloth covers over your gooseberry plants. We do this for the cabbage moth for the cabbage family plants. The moths can’t get into the plants to lay their eggs so no larvae making a mess of the plants. Hopefully it works for the gooseberries too! I definitely have thought of foraging, and I do in my own yard, but the whole “accidentally poisoning someone” thing scares me a little too much to venture beyond my own backyard. Someday I will have to woman up and venture beyond the dandelions. Could you please tell me the name of the white flowers in the fifth picture down? I found some close to my house and used them in my wedding bouquet but don’t know the name. Thank you! Hi Heather! They are yarrow 🙂 Very beautiful and highly medicinal. For whatever reason, it won’t let me create a link. Great book though with beautiful pictures. Hi Robin! 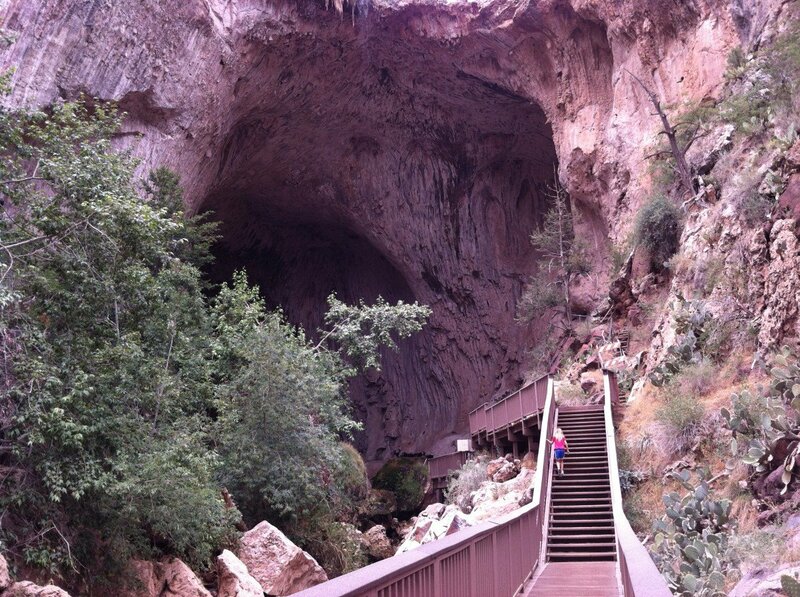 These pictures are from Tonto Natural Bridge State Park…between Payson and Pine. It’s a great old homestead!!! So beautiful and flowing with wild edibles! I also love to forage Oak Creek Canyon…between Sedona and Flagstaff. Tons of old homesteads with orchards and medicinal herbs there also! This weekend’s accidental foraging led to a litre of chokecherry syrup. A great substitute for maple syrup until next year’s harvest. Have you tried looking in library for these books? You could browse books to see which ones interest you. You could check them out to have more time to see what fits your area. Or after seeing which ones you would like, look at used book stores, browse eBay or Amazon or similar sites to get them cheaper. Also garage sales, estate sales, Craig’s list locally, etc. How about posting a “wanted to buy” in newspapers or such like. Might even get for free from someone wanting to get rid of them. Happy foraging! What is the plant in the sixth picture down on this post? Hi Andrea, I second Nate and Tomi’s request. What is your favorite book (or two) on desert foraging? I grew up in the upper midwest where foraging is plentiful in spring/summer and now find myself in Southern California where the summers are brown and dead. Everything is so different. I haven’t even been able to find plantain! Have you tried your local Agriculture extension office for books or pamphlets? 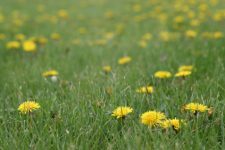 Often they know local plants and may even come out to your place to point them out on your property or local parks. 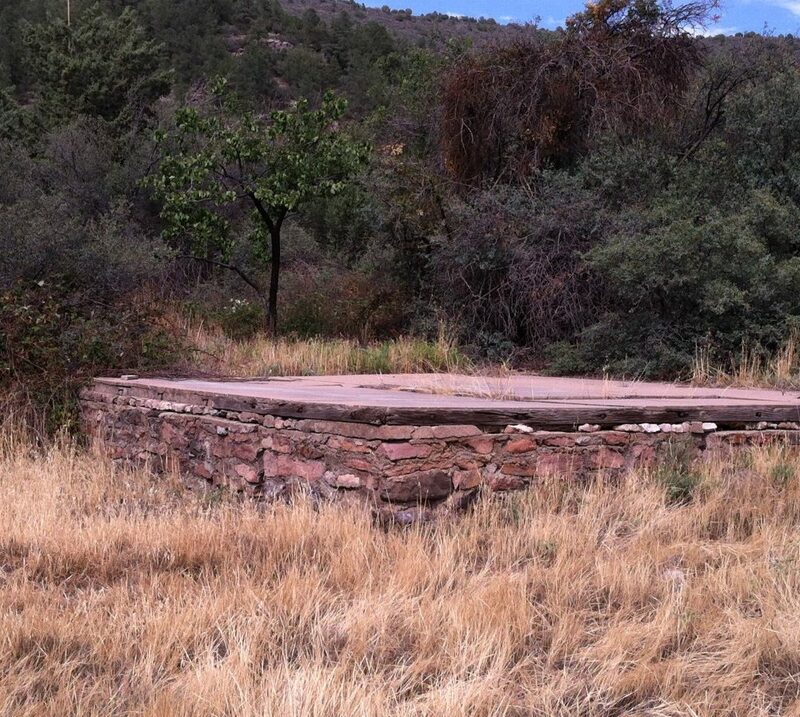 They may even know about abandoned homestead sites and owners. Or locale of various places to find certain plants, trees in your area, etc? They would also know when to harvest what. ! Then you could mix up one of your fav recipes as a gift for their time and willingness to share their knowledge. Also, might try your State agriculture office to see what grows where in your state. Do I hear a road trip in the near future? ; ) how about visiting a local nursing home to pick info from residents. Double blessing – you gain some of their knowledge and they get some attention win- win! I just found your website a few days ago, and I am loving it. You offer such a beautiful variety of posts. This post is especially dear to my heart, as I love to wild forage. It is such an amazing way to get all kinds of delicious and even high end edibles. Why pay $20 for a couple pounds of morel mushrooms when you can go out and harvest 10 pounds in no time! And my favorite part of wild harvesting is being out in nature! I forgot to add that another way I forage is I put out posts on sites like craigslist, or other local bulletin boards and ask if anyone has fruit trees they don’t want to harvest this year. I have had great luck with this method, and have acquired hundreds of pounds of apricots, apples, cherries, etc. There are a lot of people that inherit fruit trees with the house they buy, and they have no interest in using the bounty. And many of them don’t want the mess of when all the fruit falls on the ground. Its win win for both sides. We are in full swing in the foraging foray. We pick lots of Saskatoon berries and often connect with usually older people that don’t want to pick their raspberry patch that year. We usually buy lots of berries from Costco so it is our goal to harvest enough this year so that doesn’t have to happen. I have foraged for blackberries and fennel in Santa Clara and San Juan Bautista , Ca. I even foraged fennel seeds and now have the next generation of plants growing in my front yard. It never occurred to me about the old homesteads. I will have to check the state parks here! 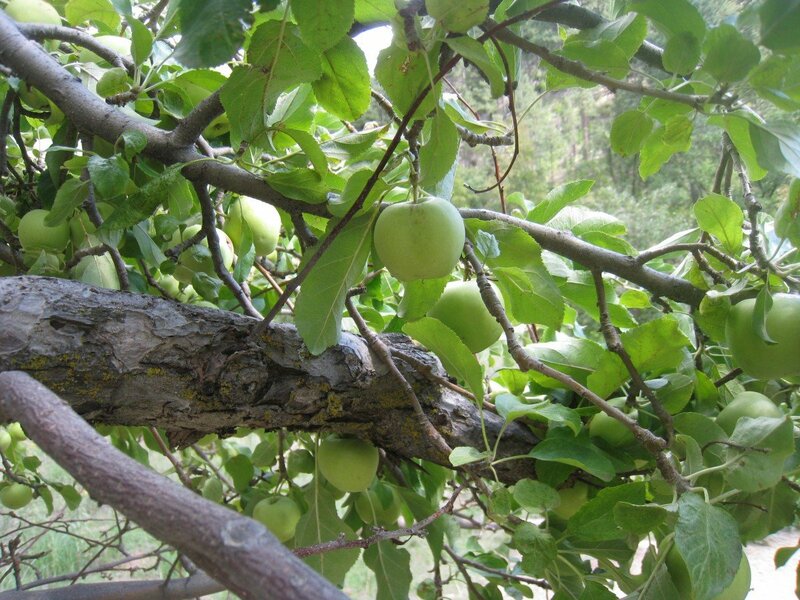 check this site out…you can list fruit trees on public land and also Offer your fruit on trees you may have! 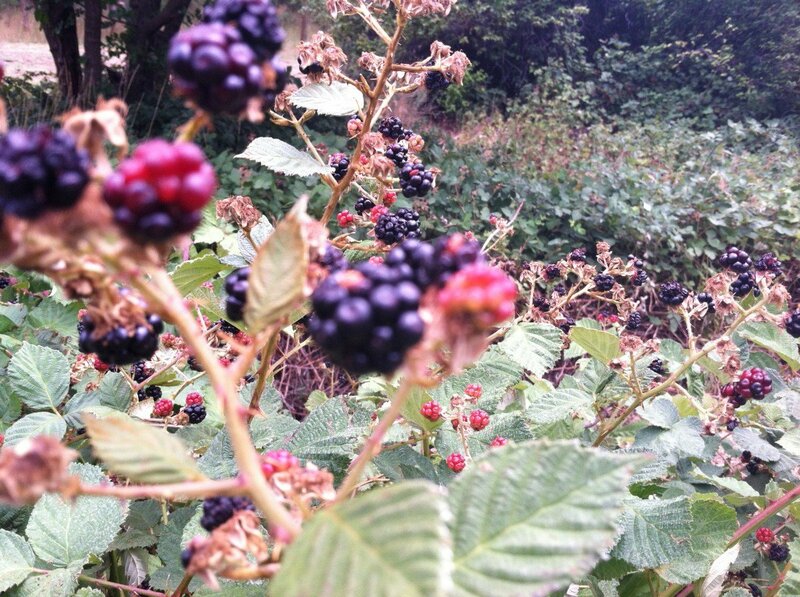 I though foraging was for ancient times! Have never heard of it used in this context, but would like to learn more. How do you go about finding local public homesteads? It that all that needs to go in a search box or would it be listed on local park sites? Thanks. There’s lots of foraging in Arizona, just a matter of finding the time. This state offers such a wide variety of foods. We harvested our mesquite beans early this summer and are having them milled in the fall, there are berries and apples and mushrooms and a myriad of herbs to be found up in the high country. 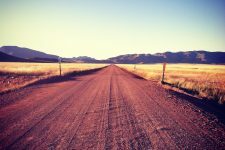 You just need to get off the beaten path. Haha. I can’t believe I’m even posting this. I’m usually so secretive about “our spots” Lots of things will grow in our desert garden, also, to an attentive gardener. Just be mindful of state laws. Here in Colorado, foraging is allowed ONLY on public lands that are not state parks or designated conservation areas (both for wildlife and plant life). Also, foraging is generally not allowed in most National parks. If anyone reading this is from [Northern] California (or other places as well), I highly recommend looking into miner’s lettuce, mustard greens, and blackberries. Three of the most versatile wild foods you can find! The recipes and possibilities are endless. I’m so glad others know about the greatness of mustard greens! They grow everywhere here in Northern California and most people just see weeds. I made the most amazing mustard green-almond pesto using locally sourced goods.Sometimes it’s fun looking up the relationship between the plants and history. Legend has it that a particularly directionally-challenged Franciscan priest planted the seeds in the 1700s so as to find his way back without ridicule. Pretty cool! If anyone’s interested in mustard green, I wrote a bit about it. 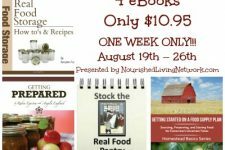 I hope you don’t mind me posting the link here–I’m just so excited that others forage! My favorite is leeks! I’m still waiting for our snow to melt so I can get some. I’m so glad to see others are looking for wild food.